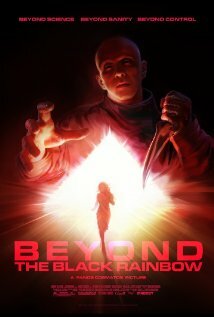 Beyond the Black Rainbow is a 2010 Canadian science fiction film written and directed by Panos Cosmatos, his feature film debut. The film stars Michael Rogers as "Dr. Barry Nyle". It was produced and filmed in Vancouver, and premiered at the 2010 Whistler Film Festival. It also showed at several film festivals throughout 2011, including Tribeca in New York City and Fantasia in Montreal. Magnet Releasing, the genre division of Magnolia Pictures, has picked up the film for US theatrical release.